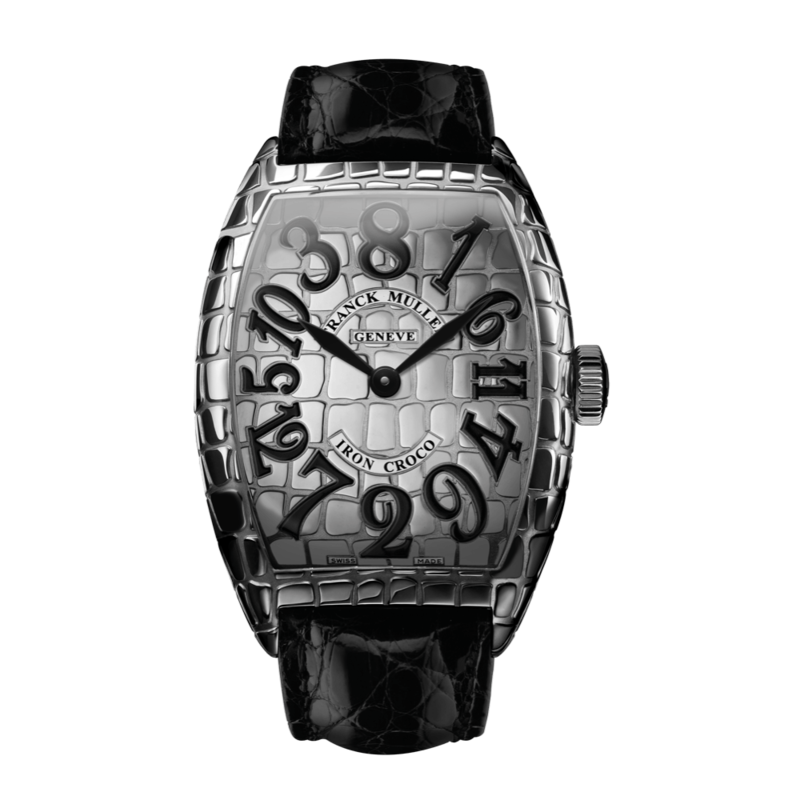 Elegant, sporty and innovative, the Gold Croco, Iron Croco and Black Croco are harmonious timepieces. 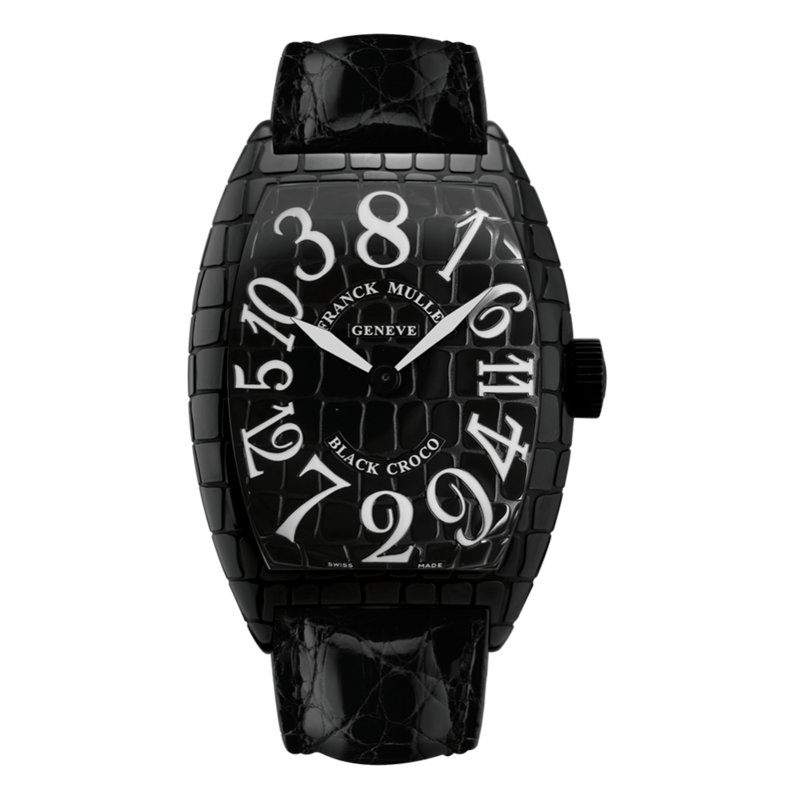 The case and even the dial seem to be an extension of the alligator strap, thus creating a disconcerting uniformity. 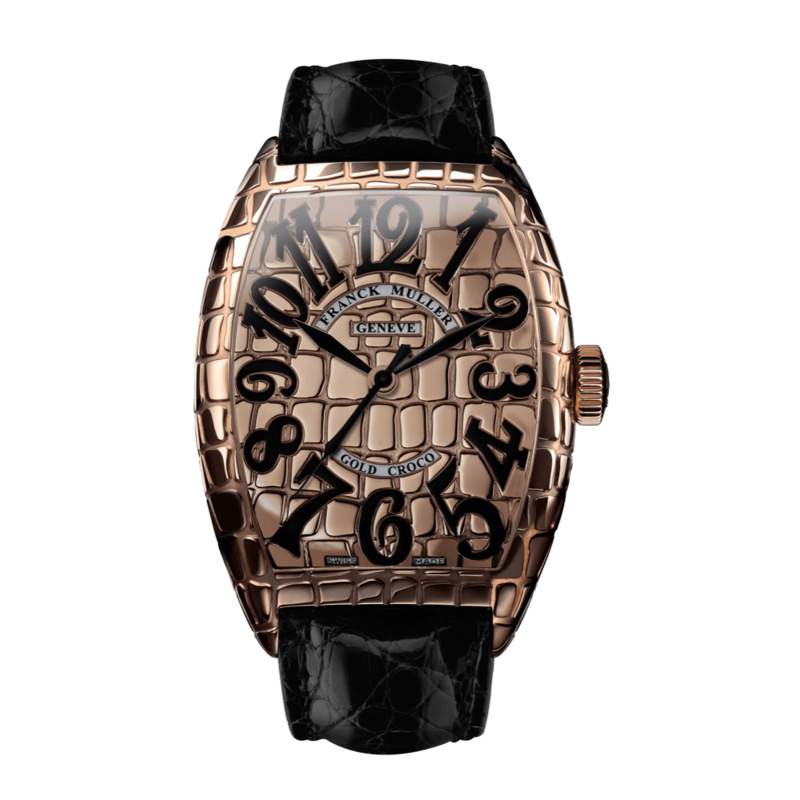 The Gold Croco is made of a solid mass of 18k rose gold, the Iron Croco is made of stainless steel, and the Black Croco features a black PVD treatment on a white gold or stainless steel case. 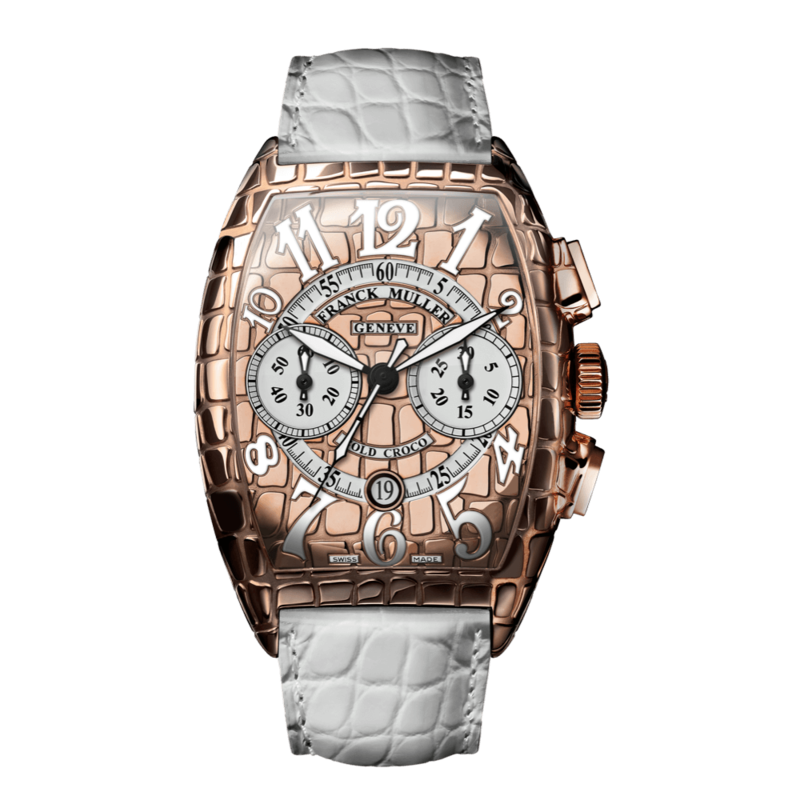 The case as well as the dial are entirely milled to create the most realistic scales aspect similar to the beautiful alligator straps used by the brand. 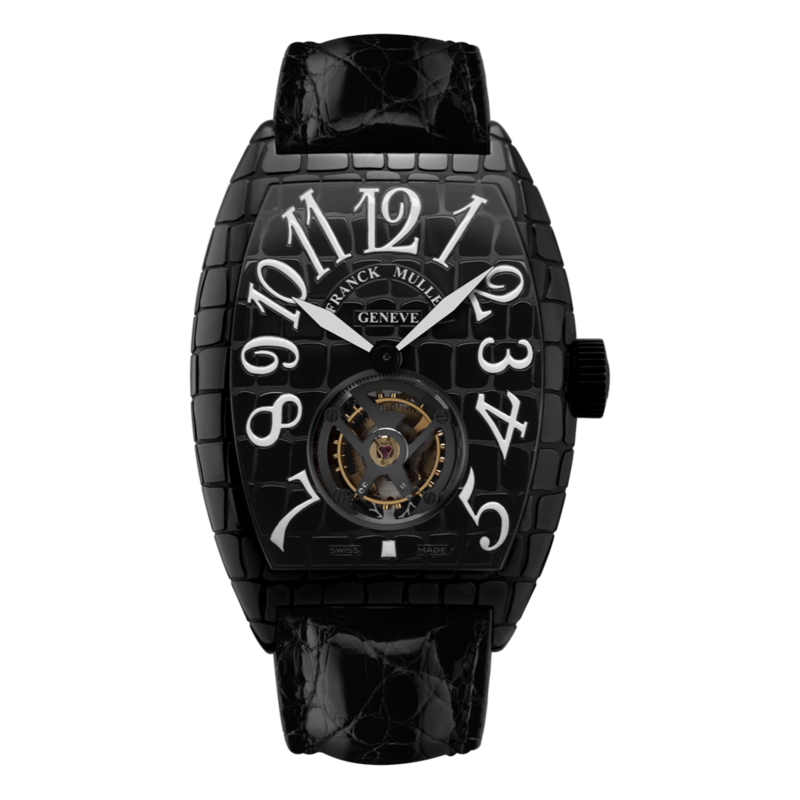 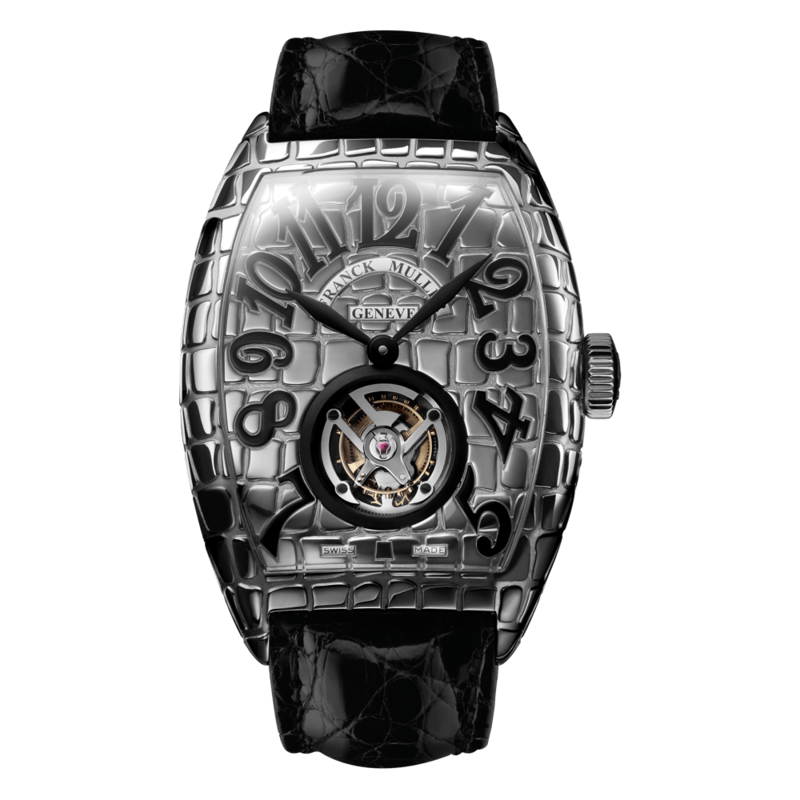 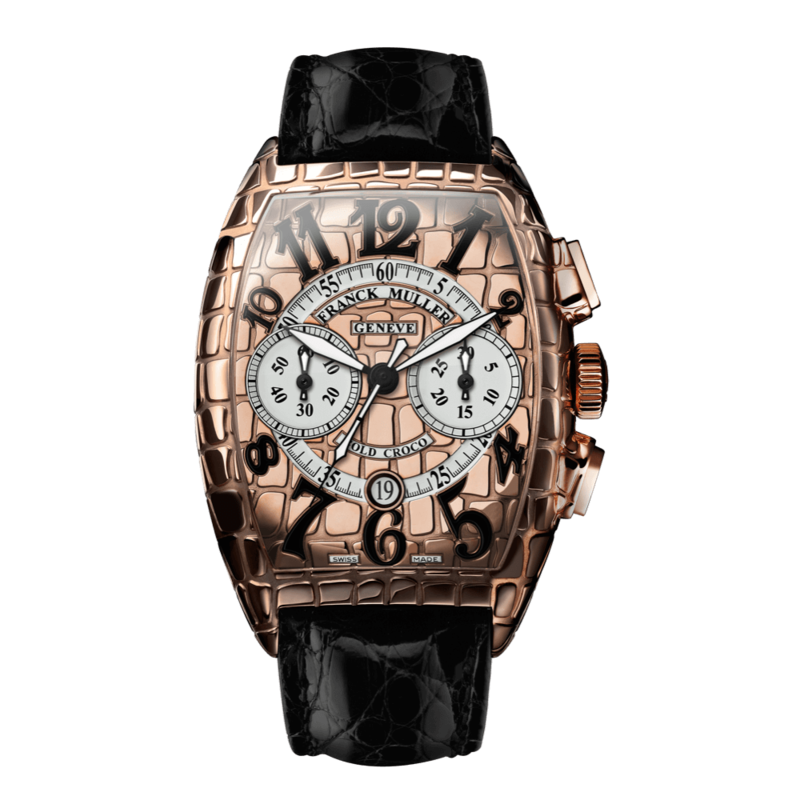 This touch of originality highlights the sporty mood of the collection that is considered to be one of Franck Muller’s most innovative creations in terms of design.